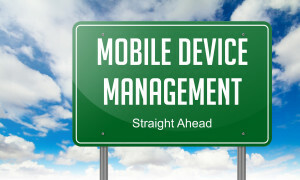 G/S Solutions provides excellent solutions for mobile device management. Our experience across a variety of data collection device providers and infrastructure solutions makes us an ideal partner to help your organization make sense of the complexity of managing a variety of devices within the modern corporate network. Our mobile device management solution partnerships help us provide the best fit for your existing devices and infrastructure. Looking for mobile device automation services? Check out our MobileFrame page and related services. For an in depth view of Mobile Device Management solutions and benefits across three major MDM providers, please take a look at our MDM Vendor Comparison document. This MDM comparison guide is intended to cover capabilities around deployment, mobile platforms supported, mobile device management, security, mobile VPN, application management, document management, network management, service management, and reporting. We hope this will assist you in finding the right solution for your needs. If you have any questions on solution fit, we are happy to assist. AirWatch by VMware simplifies mobility for organizations, while empowering end users. With AirWatch, organizations can easily deploy, configure, secure, manage and support smartphones, tablets, laptops and other devices across multiple mobile platforms and operating systems. IBM MaaS360 by Fiberlink - MaaS360 simplifies MDM with rapid deployment, and comprehensive visibility and control that spans across mobile devices, applications, and documents. MaaS360 supports all devices including the iPhone, iPad, Android, Windows Phone, BlackBerry, and Kindle Fire. SOTI Inc. develops industry-leading technology that solves the unique challenges involved in deploying, managing, securing and supporting remote mobile and desktop computing devices. Today over 80,000 customers around the world rely on SOTI’s award-winning MobiControl to reduce the costs associated with supporting a mobile field-force. SOTI helps enterprises to achieve their ROI targets by increasing productivity, minimizing downtime, reducing labor costs and securing mobile assets and data.